As my boys get older, I am working hard to help them see Jesus at the center of our home especially at Christmas time. This can be stressful because I want to do it "right" and there are so many opinions out there on how to do it and what tools to use. I recently posted a list of all the fun Advent activities we are doing this year (and some more that we have done in the past) and while all of these things are fun and can point to Jesus, I want to specifically teach my children God's word. 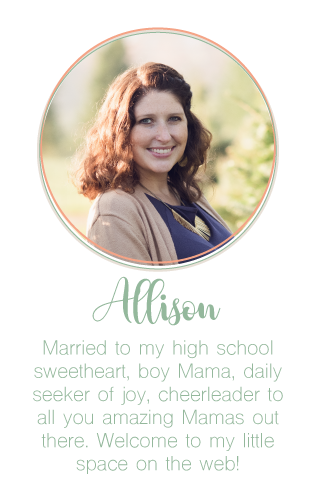 So today with just 10 days until Christmas, I thought I would share a few tools that have helped me feel more confident as I navigate beginning to teach my little boys about God and His word. With my four year old, we do a new verse each month. This month our verse is Matthew 5:14, "You are the light of the world." I love hearing him learn God's word and I also use it to help guide me as I navigate another fun thing, discipline. I am amazed at how it has helped me discipline my children in a positive and meaningful way that simply makes sense! I have found the Evangelism podcasts especially encouraging as I work on modeling this with my children. I can't emphasize enough the importance of a good and reliable Children's Bible. The Beginner's Bible not only has simple and relatable images, but the content is true and easy to read aloud to my kids. Outside of being a Mom, I am also in ministry so I use this Bible with my own children as well as other people's children and I feel confident doing so. This Bible has proven to be reliable and I love the amount of stories found within it! 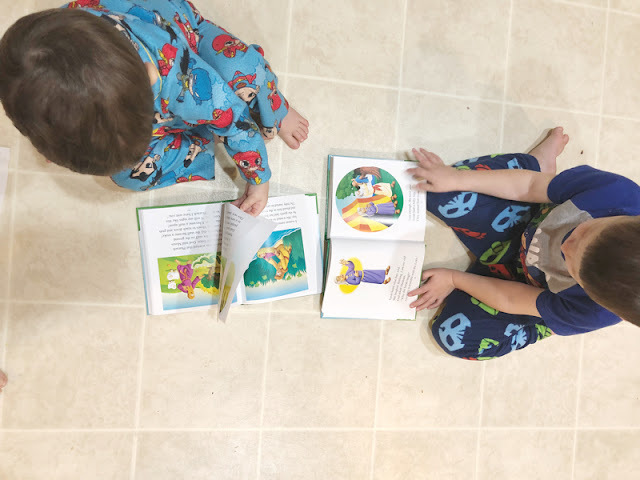 I have found other children's bibles that I love, but they are often missing Bible stories that I think children need to know about even in the little years. With Christmas quickly approaching we are reading one pre-chosen story from the Beginner's Bible each day and I have a set of wooden ornaments that go with some of the stories leading up to Jesus' birth. We read a story and hang an ornament up to remind us of that story. My boys have loved it and it has been a great way to start our mornings together. The Beginner's Bible is one of the most sold and most well loved Bibles of all time and my boys have loved reading from ours as you can see in the picture above. I would love to give away a new Beginner's Bible to one of you! Simply comment below and you will be entered to win one for yourself! I will also be posting the Giveaway on my instagram account tomorrow, @allie_renner, so you can enter there as well! How do you make sure to keep Jesus front and center with your kids not only this time of year, but all year round? I would love to know! This is the third time I’ve tried posting ha. Maybe third time is the charm! This is so sweet! How are y’all? It’s been so long!